Hi friends and Welcome to What to do Weekends! So excited to finally to be enjoying some RAIN and more Fall-like weather, here in Northern California! No surprise to most of you that this truly is My favorite time of the year. I'm so grateful that you have come to join in the fun at this party! So much talent is a little intimidating. I'm so grateful that you have come to join in the fun at this party! That said here are some of the Features for this week! 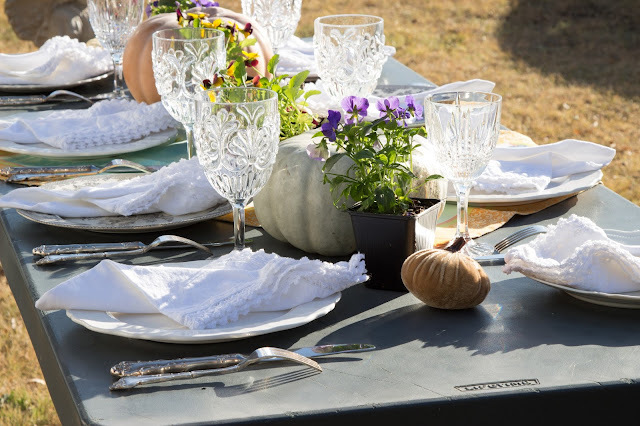 Bombshell Bling share this yummy recipe for her Pumpkin Chiffon Pie Recipe! I can't wait to try her recipe! 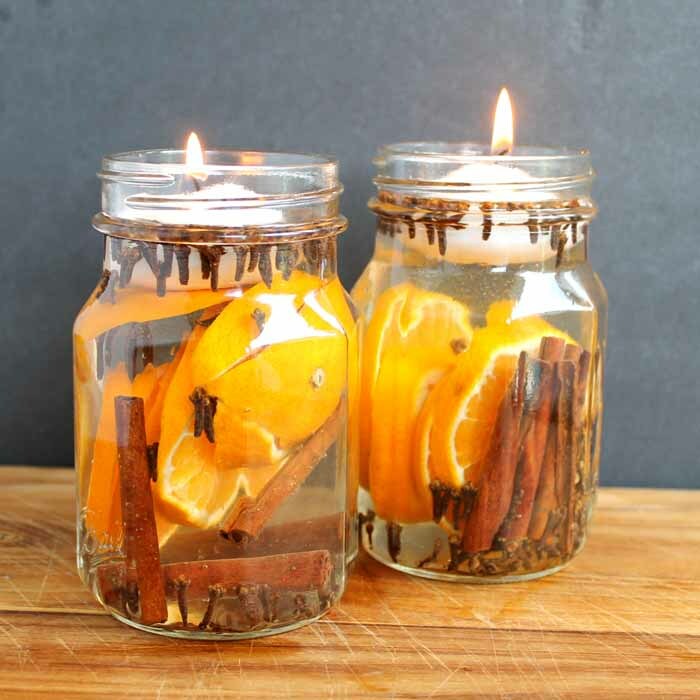 I LOVE LOVE LOVE Angie from The Country Chic Cottage's Fall Candles: Make These for Fall Scents Can't you just smell all the yumminess?!! I can't wait to try this! Thank you Angie! Please follow myself and Linda while you are linking up! 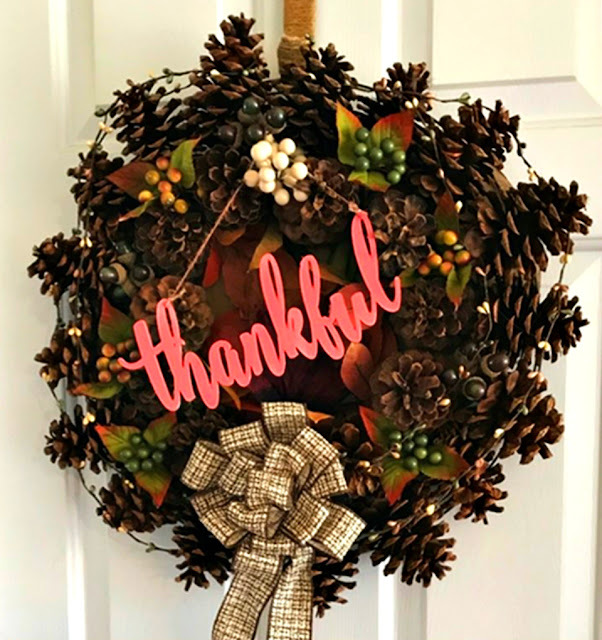 Pine Cone Wreath for Thanksgiving Great Bow Tutorial too! 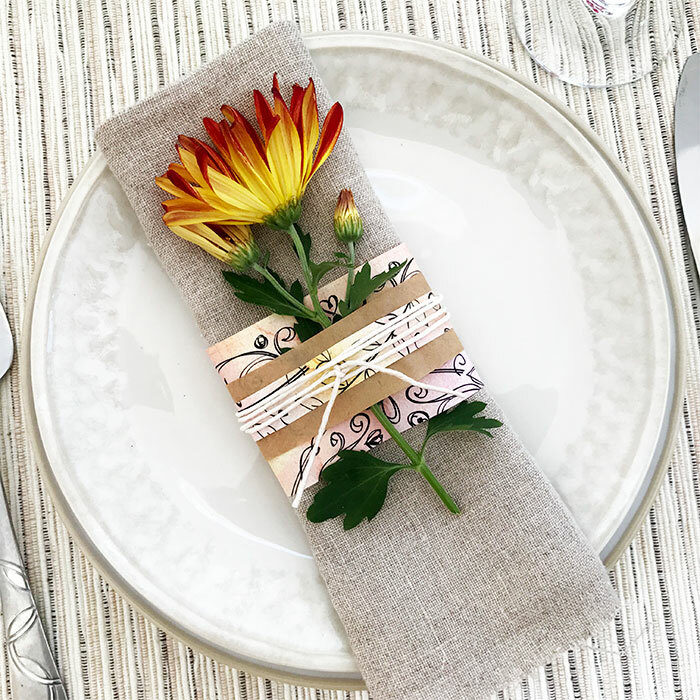 The Country Chic Cottage shared her sweet DIY Pretty Flower Paper Place Setting Ideas that I must try! How about some of Marilyn's from Marilyns Treats' Pumpkin Pancakes with Cinnamon Mousse?! Yummy! Definitely will be trying these out! If you were Featured feel free to grab one of our Blog Buttons and proudly display on your Blog as the talented person you are! 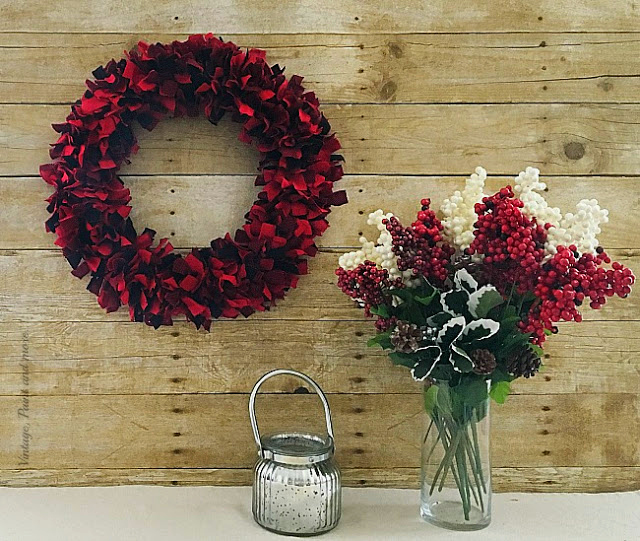 Thanks so much for including my Thanksgiving Pine Cone Wreath in your features, Theresa. I appreciate it! Hope you have a wonderful weekend. What to do Weekends #250 ~ Happy November!